I couldn’t help but think of Harry Potter when I was watching the animated film 9 directed by Shane Acker and produced by Tim Burton and Timur Bekmambetov. Why, you might ask? Well, because both films talk about pieces of the soul, albeit in totally different ways. In Harry Potter the villain Voldemort rips away pieces of his soul by murdering others. He then places those pieces within an object known as a Horcrux. For those of you who are not Potter fans, a Horcrux is a magical object in which a wizard hides a part of his soul in an attempt to become immortal. As long as his soul is contained in the object he cannot die. Voldemort doesn’t seem to care that he has to kill others to assure that he remains immortal. He also doesn’t seem to understand that his violent acts serve to diminish the life force in his own body. The movie 9 also deals with the idea of a soul splitting, but in a much more altruistic manner. 9 (Elijah Wood) is a sapient burlap doll who wakes up to find himself in a post apocalyptic world where all humans are gone. In this world he finds 8 other dolls, like himself, who have taken refuge from some huge machines that are out to destroy any signs of life. Towards the end of the movie we discover that the human creator of these 9 dolls infused each of them with a piece of his soul so that life could be preserved on earth. He didn’t do it from any selfish motive, but from a loving desire to preserve the essence of life and to bring that life to his creations. All of us are creations of a Higher Power and we were all infused with a piece of that Creator’s energy. We are all pieces of one Soul and we are already immortal. We don’t have to do anything or take anything away from anyone else to attain immortality, it is already ours. Our bodies may fade away, but the soul lives on. Those who understand this premise live their lives respecting others and all of life. Those who don’t, like Voldemort, strike out at others from a place of fear. All of us create from time to time. It doesn’t matter if you are an artist, a scientist, a writer or musician, a cook, a carpenter, or a parent. We all create on some level, and we all want to bring something of ourselves into our creations. This desire innately comes, not from a place of fear, but from a place of love. We don’t diminish ourselves when we give rise to something out of love and creativity, instead we add to not only our life, but to the lives of others. All of us leave a part of ourselves here on earth in the things we create. This blog is one of the ways I lovingly share bits of my soul with others. What about you? Take a moment and think of the many ways in which you create, share yourself and leave this world a better place. What if the first time you kissed him was not the first time he had kissed you? What if your husband disappeared on your wedding night, but you couldn’t really be mad at him since he was with you the entire time. Of course, the you he was with was only nine at the time. Such is the world of the Time Traveler’s Wife. She met her love when he was an adult and she was just a child. He visited her many times as she was growing up and she fell in love. She spent her life waiting for time to catch up with him. When he did finally meet her—she already knew him, but to him she was a stranger. The movie is based on a book by Audrey Niffenegger, but it was no surprise to find out that Bruce Joel Rubin wrote the screenplay. Bruce also wrote such wonderful films as Ghost, My Life, and Jacob’s Ladder. I had the pleasure of meeting Bruce in 2005 on the Spiritual Cinema Festival at Sea. I totally enjoyed this film, but it got me thinking—no surprise—what would happen if time travel really were possible? If it truly were a reality then my future self could come back and tell me if I found my right and perfect church, where it was, and if everything turns out as well as I pray it does. Considering I’ve lived the past year in the void and wondering about my future—it truly would be pretty awesome to have those questions answered once and for all. I took a class at Unity Village decades ago on NLP (Neura- Linguistic Programming). In this class our future self went back to our inner child to bring them the knowledge that life would turn out okay; that’s a great thing for a child to know. This was all pretend of course. We stood in a constructed timeline and simply moved back in time to assure ourselves that we turned out okay. It’s a wonderful psychological concept. So, what if there really is a future me hanging around somewhere? That future me would have the answers that I am now seeking. While it might be nice to find out specifics from my future self, it would seem that this is virtually impossible. I have not (as of this moment) figured out how to transport myself into the future. However, what I’ve realized is, I do know how to travel to my past. The present me can look back at other times in my past when I was feeling stress or indecision and see that I made it through perfectly fine through that stressful time to this now present moment. Knowing this, how can there be any doubt that whatever I am going through now will turn out exactly as it needs to be. So, it turns out I can time travel—but only to my past. I know we talk in spirituality about ‘being here now’ and living in the present…but I still think it would be pretty awesome to take a trip to the future. Anyone want to go there with me? Can you imagine what it would be like to live for over 14,000 years? What if you began as a cave man or woman and you never grew older. You would watch the earth change as oceans appeared and mountains formed. You would see evolution at work all around you. You could meet the Buddha, go study in India, and then later meet up with Van Gogh. Everyone around you is growing older so you must keep on the move so no one notices that you aren’t aging. This very premise is explored in an interesting movie called The Man from Earth. The movie was made in 2007, and I would guess it wasn’t in theaters long, if at all, as I’m sure I would have gone to see it had I heard about it. I found in on Netflix…I just love Netflix! The film begins with Professor John Oldman (David Lee Smith) packing up his things to move. Some of his colleagues have gathered around to wish him well and give him a farewell party. Someone notices a painting he is putting into his truck by Van Gogh with a note on the back “to my friend Jacques Borne” and this begins the questions. His friends are all quizzing him about why he is leaving. John then poses this question, "What if a man, from the Upper Paleolithic survived until the present day?" Thinking he is working on a science fiction book they play along and keep asking him questions. These professors include an anthropologist, a biologist, a historian, an archeologist, a psychologist and a professor who is a devout Christian. John is able to answer all of the questions fielded to him and finally admits that he is this man. The conversation gets very interesting. Some find this idea interesting and agree that it can’t be proved or disproved. Others think John is crazy and should be locked up, but they have known him for 10 years and he has always seemed sane…until now. As I watched this movie, I began wondering if I would believe someone who told me such a story. It feels unbelievable, but then I’ve been taught to believe anything is possible. What about you? Would you believe such a story? It’s an interesting film. If you decide to watch it, come back here and leave me a comment and let me know what you thought. I just watched the most delightful movie! It is called Heart and Souls, and it came out in 1993. I don’t know how I missed it before now, except that I was ordained in 1993, so I may have been a bit preoccupied when the movie hit the theaters. However, I’m guessing the film didn’t get much press or advertising, because I’m certain I would have made an effort to see it. I just love those “Watch Instantly” movies on Netflix, and I sometimes watch them on my computer when there is nothing else to do. I discovered this movie from the recommended list which Netflix prepares based on my previous viewing. Boy, do they know me or what?! The movie stars Robert Downey Jr., Charles Grodin, Alfre Woodard, Kyra Kedgwick and Tom Sizemore. It is about four people who died together while riding a bus. They were young people with unfinished business, and at the exact moment they died a young boy, named Thomas, was born. These four souls become delightfully attached to this child in consciousness. Thomas grows up thinking of these four souls as his imaginary friends. He talks to them, sings and dances with them; they especially love singing Walk Like a Man, by the Four Seasons, and I loved singing it right along with them. However, when Thomas reaches age 7 his parents and teacher begin to wonder about his imaginary life, and the four souls fear that Thomas will be committed to a mental institution so they become invisible. Years later when Thomas is a grown young man the four souls discover that they are being called to leave this earth, yet they have work to finish before they can leave, and they need Thomas to help them. Thomas needs some help himself, as he shut down his heart after his imaginary friends disappeared. Together the five help each other with delightful results. I was never a child who had imaginary friends, but it made me wonder if there might have been a guardian angel hanging around and helping me when I needed a friend. While I have thought about and even believed in angels and how they could be of assistance to us, I never gave any thought to that help being reversed. It’s an interesting premise for which I have no answer. I do, however, highly recommend this movie. It is a delightful film with heart and soul…and you’ll find yourself, singing and laughing right out loud. I have just returned home from our Association of Unity Churches Convention in Overland Park, Kansas. As usual it was a full week and I’ve come home richer and full of new knowledge and insights. Below are some of my notes from convention. The convention opened with a powerful and moving service held at Unity Village by Rev. Sky St. John from Hawaii. He combined video, music, skits, prayer and a message, and I must say I left feeling incredibly full. I especially loved his portrayal of James Dillet Freeman’s poem “I Am There”. He divided the poem into two parts….someone feeling alone and crying out, and the voice of God booming…I am Here! How often do we feel alone and yet God is always right there speaking, if we could only open ourselves up to hear God’s voice. The music was incredible! He used mostly praise music and I had forgotten its power. I spoke with a minister friend who told me she had to leave this service, because she couldn’t deal with the raised hands. I know to some that would bring back memories of another church where one worships a God up in the sky, but someone gave me a new perspective….that it is a Yoga pose. Raising one’s hands to the sky is not worshiping a God outside oneself, but rather opening oneself, and the heart chakra up to receiving more from Spirit and the universe. I like that! Someone else said that praise music is trance-like. I’ve noticed that in my churches we seem to do more folk type music….and while that is nice, I really like the feeling of the praise music. In that sense, the fundamentalists have something. The music Sky used had Unity lyrics, but they captured that sense of awe and wonder. I want more of that in my church services!! Jason and deMarco were awesome NGUer’s (Next Generation Unity) and they bring a fresh kind of music to Unity. 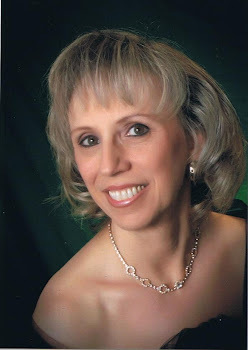 Having said that….Karen Drucker did much of the music for conference, and I suppose some of her music is a type of folk music, and I absolutely love her. So there is room for all of it! Church Change can be messy, but without it we remain stagnant. At the end of a sermon give a couple of minutes for people to share with another something that they’ve received, and it will provide a greater retention. Move from an ‘either/or’ consciousness to a ‘both/and’ consciousness. Ministers should not be paid to do ministry, but to equip others to do ministry. It is important to move away from a minister-centric ministry to avoid minister burn-out. A healthy church has over 90% active volunteers, however most churches aren’t there yet. Sufficiency is different from abundance. If you let go of trying to get more of what you don’t really need, it frees up oceans of energy to turn and nourish what you already have. Move from a consciousness of ‘you or me’ to one of ‘you and me’. Holacracy is a sense of ‘spirit as work.’ The organization is dynamic…it is free to find its own purpose as a living entity. Governance is distributed throughout the organization and across time…it is evolutionary and is not stagnant. It is ‘sense and respond’ rather than ‘predict and control’. It’s like riding a bicycle….it’s better to steer as you go along rather than try to map everything along ahead of time and try to ride blindfolded. You hold the aim in mind and steer continuously. In holacracy you reach a workable decision, not necessarily the BEST decision. The best decision emerges over time as you move forward. Any issue can be revisited at any time. Delay all decisions to the last responsible moment—you’ll have more data and make more informed decisions. Then make small decisions and deliver fast. Can always fall back to predict and control if needed. In every relationship, one fills a role and is accountable for something. It’s not ‘who are you accountable to’, but ‘what are you accountable for.’ People count on you for things…but it is the role that is counted on, not the person. Role descriptions (rather than job descriptions) contain verbs + ing: i.e. teaching, preaching, equipping, etc. These are defined based on reality over time, rather than what you think ‘should’ be done. In other words, over time one realizes what is being done and needs to be done…rather than projecting what you ‘think’ should be in that role. (Also people should be working in their ‘sweet spot’…if there is something that needs to be filled…find the best suited person to do it…it might not be the minister). Accountabilities are assigned to roles not a person. Shift from responsible to accountability. You can consciously choose to not do something (this is not irresponsible) but make a choice based on best needs in the moment. Church is not about serving congregants, but its purpose is to find its unique spiritual expression in the world—spirit in action. What could the church do if it were freed from the shackles of human ego? About perspective of roles, not people. I didn’t take notes for everything. Bishop Spong and Dr. Rev. Barbara King were awesome speakers, and I was too wrapped up in them to stop and take notes. There is no way to capture everything from convention. 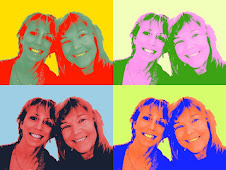 Much of it was reconnecting with friends and making new ones, as well as a little Association and Regional business meetings. The Conference next year will be in San Diego. You don’t need to be a minister to attend, everyone is invited. Start planning now to attend…you won’t regret it! I’m learning to play bridge. I’ve always loved cards, and have been pretty good at it too. I’ve played Rummy, Spades, Hearts, Whist, and Pinochle, just to name a few. Bridge, however, is another story altogether. Bridge is a complex game that depends highly on proper communication. It doesn’t matter how powerful your hand, if you don’t receive the proper communication from your partner or give the proper information to your partner, you will both be at a major disadvantage. What’s also interesting in Bridge is that sometimes you have to lie. Well, not lie exactly…more like speak in code. For instance, you might open at 1 club, even if you don’t want clubs as trump. It’s a signal to your partner that you have opening points and you want to know what she has in her hand. So then your partner has to respond telling you how many points she has and what her best suit is in. But of course, she doesn’t just say, “I have 10 points and I’d like to play it in hearts.” No, that would be too easy and would give your opponents too much information. A response of 1 heart to an opening of 1 club tells your partner that you have a minimum of 6 points and at least four hearts. While speaking in code is a bit tricky to learn, once you understand it, you can communicate fairly well with your partner. While speaking clearly is certainly preferred in regular day-to-day communication, the truth is all of us speak in code at times, and it would behoove us to remember that and learn how to recognize when someone is saying something other than what they mean. Children, especially, cannot always tell us what they are feeling, so we must learn to decipher what is really going on with them. I used to be a nanny and I quickly learned that if I didn’t pay attention there would be a ‘failure to communicate’. Charlie (age four) once acted up when I was trying to get him and his brother out the door to go to their first swimming lesson. He insisted he wasn’t finished playing his game and couldn’t leave yet. He screamed and resisted, and nothing I did or said would convince him to leave. Had I not understood his code, this could have been a much more frustrating morning. What I realized was his disobedience was really about his fear of swimming. When he was three he had a frightening experience with water, and so now with that memory still intact, he was afraid to go to his lesson. I was able to discern his code and reassure him that he would not have to go into the water if he didn’t want to, but that we still had to leave so his brother Will could go to his lesson. We went to the lesson and the teacher, also very understanding, was able to reassure him, and Charlie, eventually, not only went into the water, but learned to become a great swimmer! Our children, our mates and our friends sometimes speak to us in code. It sure would be nice if we all said what we meant, but sometimes we aren’t even clear about what we are feeling. I’m reading “The Idiot’s Guide to Bridge”, which is helping me learn the code language of Bridge. Too bad there isn’t such a manual for relationships; that would sure be helpful! This isn’t to say we are all idiots when it comes to communication (or Bridge), but that we want to learn the basics in an easy to understand format. The book “The I of the Storm” by Gary Simmons is sort of a manual about learning to communicate in conflict. Simmons tells us that when people lash out at you, it is more about them than about you. There is something missing in their relationship with you, and they haven’t figured out how to communicate what is missing for them, so they make it about you. Once you understand this code, you can say to them, “Tell me more”, so you can get more information about what is really bothering them. While I’ve read this book, I still sometimes forget the ‘code’ when someone lashes out at me, but I’m determined to remember to not get defensive, and to ask for more information. I’m going to keep practicing Bridge, because the more committed I am to learning the code, the better I will get at communicating with my partner. The same could be said for communicating in normal life: the more we practice understanding what the other person needs from us, but isn’t able to say, the better we will be able to communicate effectively in return. Wow! Compared to relationships, Bridge is beginning to look easier and easier! I have been re-reading Angels and Demons in preparation for the movie coming out next month. I love the book, because even though it is fiction—there is so much history and truth to be found in it. I love this idea for a couple of reasons. One, it embraces the idea that time is not linear. In our limited thinking, we think of time in terms of past, present and future happening along a straight line continuum. However, what if they are all happening concurrently? If that is the case, then somewhere my future self already knows the solution, and I simply need to connect with that future self to figure out and bring the solution into the present. This idea is a bit difficult for us to grasp our mind around, but I love it. Maybe that’s why I love Star Trek so much! Neuro-linguistic programming (NLP) has been using the idea of reaching back in time to communicate and bring resources to our inner child, I see no reason why we can’t reach forward in time as well. Another reason I love this idea of remembrance is that in Unity we teach that we are one with the Divine Mind of God. Since God is all-knowing, then God already knows the solution to any challenge I may be facing and I simply need to connect my mind to God Mind to remember the solution that already exists. So next time you or I are feeling frustrated, we just need to take a little time to be still and to REMEMBER. The solution isn’t something we must search after, it already exists, right here, right now. After all, God’s in charge and all is well. My friend Peggy told me this looked like a Monet painting. It was a photo I took in Key West. Easter is this Sunday and it is a time when we celebrate resurrection and rebirth. It is not an accident that it comes in the springtime. I am always happy and relieved when spring finally arrives. During winter the nights are long, the sky is dark, and the land is barren. Just about at the point when you think you can’t take anymore—spring arrives and brings with it the sunshine, chirping birds, and flowering trees. 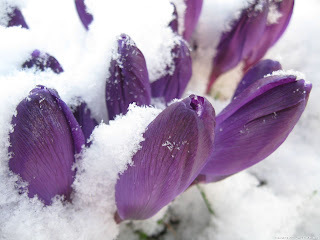 After the long and dark winter, we are so ready to burst out of our tomb and experience renewed warmth, light and life. I just came back from Florida where it felt like summer; it was hot, sunny and in the high 80’s. Every day, while I was basking in the warmth of the sun, I would look at the weather on my laptop computer and notice that it was in the 30’s back in Fayetteville. Now that I’m back home it is cloudy and rainy, yet Easter is only days away. It just goes to show you that you can’t always rely on outer circumstances to tell you the truth. Even though it is gray and cold outside, if you look closely you can see the buds on the trees and the flowers blooming. Spring is here regardless of the current weather pattern. Easter represents the soul’s rebirth. Just like the urge within each seed that propels it upward through the hard soil, there is an urge within each of us that pushes us beyond our current limitations into expansion and spiritual growth. Just as the seed grows first in the darkness of the soil, our growth too begins in the inner tomb of silence. The plant sprouts and grows with loving attention and the proper nutrients of sun and water. Our soul also advances in growth when our loving attention is focused on the Divine Presence within us (the Son) and is continually nurtured through prayer and meditation. Two thousand years ago a man named Jesus came to show us all that regardless of the rain, wind, and storms of life—even death itself, we are not limited—we are alive and brimming with life. Just as the plant appears to die away each year only to reappear in the spring with new life, so it is with each of us. Regardless of the long dark nights of our soul, if we keep our attention focused on the Son and nurture that divinity within us we too will begin to see the sprouting of new birth giving rise in our consciousness. No matter how empty or dark your life might seem, resurrection is always ready and waiting for you to claim it. As for me, I’ve been hanging out in the emptiness of the tomb for months now waiting to find my right and perfect church. I am hopeful that it, like Easter, is right around the corner. Happy Spring, and Blessed Easter! May we each experience a renewal and rebirth of Divine Life. Here is an even better trailer...it tells you much more and gives you a better feel for the movie. I’ve been unemployed for about 8 months now and have been searching for my right and perfect church for even longer. It sure would be nice to know where I’m going to end up; this idea of hanging out in the void of unknowing can be a bit unsettling sometimes. I have already started packing. I figure I’m sending a message to the universe that I’m READY already!! My cats see all the boxes around, and look at me rather strangely. I tell them that we are moving, but I just don’t know where or when we are moving. I’m sure they’d like some certainty too. So, if you could know what lie ahead in your future, would you be happy to know? That is one of the messages that the new movie, “Knowing” addresses. MIT Professor Astrophysicist John Koestler (Nicolas Cage) uncovers the meaning of a series of numbers that had been locked inside a time capsule for 50 years. The encoded message predicts with uncanny accuracy the dates, location, and death tolls of every major disaster for the past 50 years. The list shows three events yet to happen and John feels a strong connection to this list, because his wife died in one of the listed events. I’m sure he is thinking that if he had this knowledge earlier he could have stopped his wife’s death. I could relate to this movie in so many ways. My husband died of cancer over 2 years ago, and the doctors told us that the cancer had probably been growing inside of him for 5 years before it was finally discovered. Had we discovered it earlier, he might have had a chance to beat it. I think there was something in me that knew. I made him get health insurance when he didn’t have any, and I told him time and again to get a physical and a colonoscopy. Something in me knew, but I didn’t really know. I’ve beaten myself up time and again because I didn’t force him to get a colonoscopy or a physical, but would it have really made a difference? I don’t have the answer to that question. Some part of me believes that it was simply his time to go, and there is nothing I could have done to change that fact. I don’t want to tell you too much about this movie, except that you need to go see it. It was AWESOME! I left saying, “wow, wow, wow” over and over again, and, “that was awesome”. As for knowing the future…I think I’m going to have to make peace with living in the Void of Unknowing. I don’t believe in determinism, which this movie explores, but neither do I believe that life is random. What I do believe is that there is a Higher Power and a Higher Purpose, and my part in it is to live the best possible life I can in every moment and to listen for the whisper of guidance. I heard this song and it so moved me I wanted to share it. It is very haunting. Put your sound up as loud as is comfortable...it gets into your bones somehow. Wow! I just got back from a trip to Florida where I got to put my feet in the ocean. It had been a long time since I’d done that, and it felt truly wonderful! I was raised in California and I have a strong affinity for the ocean. What is it about the ocean that is so mesmerizing? Not everyone feels the pull of the sea. My late husband Bill didn’t feel it. We went to Hawaii once, and I could have sat on the beach starring out at the ocean for hours, but after a few minutes he was bored and ready to leave. Maybe it’s because I’m a Scorpio, a water sign. He was an Aquarius, which sounds like it should be a water sign, but isn’t—it’s an air sign. Mountains were what spoke to his soul. I think I find the ocean so enthralling, because it feels so much like eternity. One looks out and sees nothing but water everywhere; there is no end in sight. Eternity is our symbol of God, so to me the ocean feels like a way to connect with the energy of God. God is the ocean and I am the wave—the expression of God. We need each other. Without the wave, the ocean is an inert body of water with no expression; without the power of the ocean there can be no wave. Maybe it’s because I’m a Four on the Enneagram, and Fours are so comfortable with longing. There is a sense of longing with the ocean: longing for connection, longing to immerse oneself with something larger, longing for expansion, and a longing to connect with eternity. Perhaps it is because our bodies are mostly water and something within us is drawn to such a vast source of water. Well, regardless of the reason, I am so grateful for the opportunity to spend some time again with the ocean. Once again, I feel like I have touched a small bit of eternity. Thank you God! What is it about letting go that feels so difficult? It doesn’t matter what it is we are letting go of, it just doesn’t seem to come easy. I know that sometime soon I will have that new job (I affirm, I affirm) and will be moving, and so I am in the process of packing and cleaning out. I’m calling it spring cleaning, because I keep hoping spring is on the way. Many people get that urge to clean out when winter winds down and the warmer weather appears, even if only briefly. Maybe it’s because we’ve been hibernating all winter and we feel the need to get the energy up and moving. While Spring isn’t quite here yet, I’m not waiting! Besides, I’m hoping that cleaning out and packing up will send a clear message to the universe that I’m ready! I have moved 7 times in 10 years, but it doesn’t seem to get any easier. Every time I move I take the time to pare down and clean out, and yet I still seem to have SO MUCH STUFF!! I know that I can live without lots of this stuff. Twice in that 10 year period I lived with most of my stuff in storage, and amazingly I did just fine without most of it. Of course, I wasn’t working during those times, so I didn’t really need all of my books and ministry files. I released about five boxes of books last year, but I still have four bookcases full. Books are the hardest for me to let go. I use them as reference books in ministry, and as ideas for talks and classes. Books feel like good friends and some of them bring back wonderful memories. Still, it’s tough when I have to pack them up and move them all. I have no great metaphysical answer here. We all need to let go now and then. I know that. Some things are easier to let of than others. I’ve gotten much better at letting go of clothes, shoes and even household items. The Unity church here has yard sales every year and I release tons of “stuff”, every time; but books…even though I release and let go, the numbers just seem to keep expanding. I think they must mate or something. No matter how many books I get rid of, I still seem to keep accumulating more. Ah well, maybe I should get a Kindle. It sure would be easier to pack up and move. 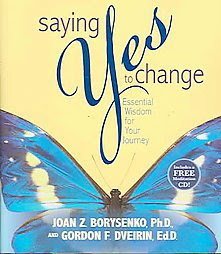 I am reading Joan Borysenko’s book “Saying Yes to Change” (co-wrote with her husband Gordon Dveirin). 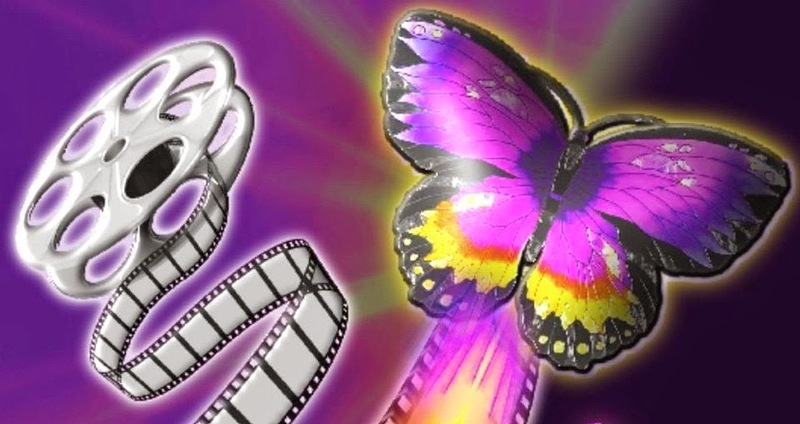 It was the butterfly on the cover that hooked me…that and the fact that my tryout talk for ministries is called “Just Say Yes”, and is all about saying yes to change and transformation. Oh yeah…the book has a free CD included. I am a sucker for anything free. Of course this little six inch book cost $17.95, so I’m guessing the cost of the CD is included in there somehow…but what the heck…I still like the idea of getting something free, even if I technically paid for it. I’m enjoying all that I’ve read so far in this book, but what I want to write about here is the chapter: The Wisdom of Not Doing. This is something I’m an expert on; I’ve sure been doing a lot of it lately. I am hanging out there in the Void…that place between the old and the new. I’ve let go of one trapeze bar and haven’t quite grabbed a hold of that new bar out there that I know has my name on it. It’s a rather unsettling place to be, especially considering I’ve been out there with nothing to hold onto for over ten months. I am not a ‘type A’ personality, so doing nothing actually comes kind of naturally to me. I can spend days alone in my apartment with nothing but my cats, my computer, my books and my TV…oh yeah, and don’t forget the snacks. However, what I’ve discovered is…this can get old pretty fast when you have nothing productive or creative in your life to occupy your time. 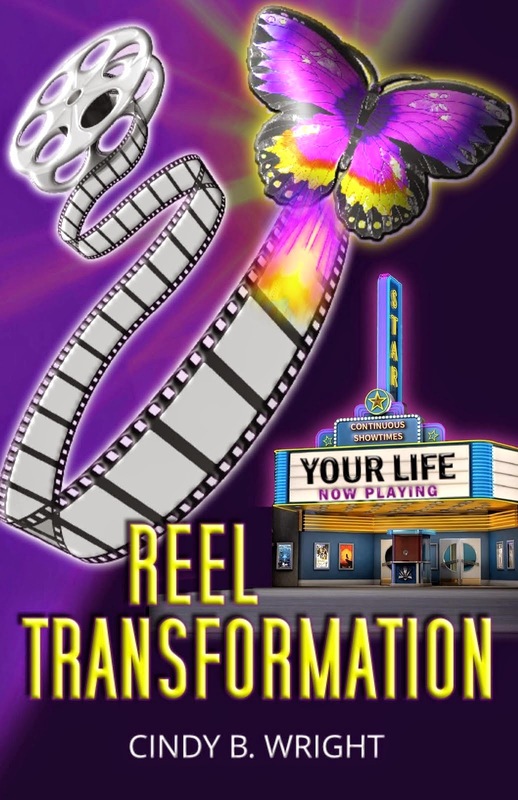 I’ve been telling myself that this is the perfect time to finish writing my book, Reel Transformation. I have a double-spaced manuscript of about 144 pages, which is not quite enough to publish. I also have one last class to finish for my BA degree and this would be the opportune time to work on it. I’ve been working a little on both, but not as much as I think I ‘should’ or ‘could’ be doing. What I’m beginning to discover, is that there is a difference between frittering away your day, and the practice of “not doing.” Joan says in her book that, “facing the unknown is so frightening for most of us that we’ll do just about anything to find our bearings and feel secure again.” You see finding my right and perfect church is going to uproot me completely from my home, my friends, and all that feels safe. While I am eager to get started in my new life, I am already grieving having to let go of all that has nurtured me for the past 10 years. I am also going through some fear about the unknown. What part of the country will I move to? Will I end up in a place that I love? Will it be warm with beaches, or cold with lots of snow? Will I remember how to do ministry…I’ve been out for four years…or is it like riding a bike? How long will it take for me to establish friends and a new support system? I’ve been through so much change in the past five years, can I take more? What if I don’t find my church before my unemployment runs out? If I don’t find a job, then what will I do? What if I’m not supposed to be going back into ministry; If not that, then what? As you can see the list could go on and on and on. These are not huge fears, and truly I know and hold to the Truth that all is happening in perfect Divine Order, and all is well. I know this, I truly believe this. However, these little fears (Joan likens them to mud) have taken up residence somewhere deep in a corner in my psyche, and frittering away time just keeps me from facing them, and only muddies the water more. Writing in my book or working on my class material, while definitely productive, does nothing to help clear away the mud either. So, what does Joan say will clear the mud or the fears away? She talks about ‘letting go’ and surrendering, and honoring whatever you are feeling. I’ve always been a big advocate for honoring my feelings; so I had a good cry. I also took out the meditation CD from the book and played it, which helped me connect with my Source….the part of me that knows all and is one with all. I had planned on spending my day working on my paper for school, but instead I honored the wisdom of not doing. Instead, I wrote this blog entry, because for me this kind of writing can be transformative. “Not Doing” doesn’t necessarily mean doing nothing…it means doing whatever you are doing from a place of total connection with your Source. It means trusting, even what you don’t know and can’t see. It means simply…Being. When one is coming from that place of Being, one can choose to do nothing, or one can choose to do something…but it will clearly be a choice free from mud. On January 15, 2009 US Airways Flight 1549 made a heroic landing in the Hudson River. The plane had been hit by a flock of birds and lost both of its engines. Minutes after taking off the pilot successfully glided the plane and landed the plane, fully intact, in the Hudson River. The heroic pilot, Chesley Sullenberger, 57, (known as "Sully"), was recently interviewed on 60 Minutes. What struck me the most from that interview was when he said to Katie Couric, “I think, in many ways, as it turned out, my entire life up to that moment has been a preparation to handle that particular moment.” Wow! Looking back over his life it is easy to see how this is true. He was a fighter pilot in the Air Force. He was a skilled glider pilot. He was a safety expert and taught airplane safety classes. He indeed, was uniquely qualified to safely land that plane. I wonder what might have happened had “Sully” said no to any one of those things. What if he hadn’t said yes to those safety classes and become such an expert on airline safety? What if had never taken gliding lessons? What if he didn’t have that history of flying during adverse conditions in the Air Force? He needed and drew on all of those skills in this emergency. 155 people survived that flight, because this pilot said yes when the opportunities were presented to him. Because he had said yes, his life was prepared for this critical moment. Life presents us all the time with opportunities to grow and to evolve. We may not know why we feel drawn to say yes to something in our life. Back in 1987 I felt drawn to go to Unity Village and take some Continuing Education Classes. I didn’t really know why I wanted to take those classes. I wasn’t planning on becoming a Licensed Unity teacher. I didn’t think I would do anything in particular with the credits I was earning. I just felt a need to grow spiritually and to connect on a deeper level with God and with Unity, so I went. It was such an amazing experience I went back a few more times. Years later, in 1990 I felt a call to go even deeper and I applied for ministerial school. While filling out the application, I realized that in order to qualify for the application process, I needed those credits that I had earned. I hadn’t known at the time I took them that I would need those credits, I just felt called to take the classes. Because I said yes to that inner call, I was prepared, and had the exact amount of credits I needed to apply for ministerial school. I’m sure you have had a similar experience…a time when you did something or learned something and then months, even years later you needed to call upon those very skills or credits earned. Most of us don’t have as dramatic an example as “Sully”. Most of us don’t save hundreds of lives. Yet all of us can live our lives in such a way that we are prepared for whatever life brings us. We begin by staying connected to Spirit, listening for the call, and saying yes. By saying yes today, we prepare ourselves for whatever life brings us tomorrow. Fayetteville, AR (and other towns and states as well) recently had an ice storm…the worst storm in its history, according to the news stations. NPR said the town looked like a bomb had hit it. I was out of town when it hit and only saw the aftermath and cleanup on my return. Fayetteville looked, as my friend John Ray put it, like it had gotten a very bad haircut. Isn’t it interesting that something as light and clear as water can cause so much damage? I started to think about the metaphysics of the storm…of course, I’m a minister, that’s what I do. Technically, of course, it wasn’t simply water that caused all of the damage, it was water crystallized into ice. Water metaphysically represents emotions, so it makes sense that thoughts and feelings can flow gently right through us, but when they get crystallized in our minds or our hearts they can cause quite a bit of damage. When our feelings and thoughts are free flowing and open, then we are in the ebb and flow of life and all is well. If, however, we allow our feelings and thoughts to become crystallized then we become heavy and dense and virtually stuck. My thoughts become crystallized anytime I stay stuck in a particular thought pattern. If I am holding to “I’m right” or “you’re wrong”, for instance, or “I’m better than you” then I am in a stuck pattern. It doesn’t even have to be outer directed either. It could be inner directed such as, “I’m not good enough” or “I can’t”. Those thoughts can be tremendously damaging to our psyche, to our soul, and even to our bodies. All of those thoughts have corresponding emotions, and as anyone who does massage (like my friend John Ray) can tell you crystallized emotions can cause havoc with our bodies. If we are holding onto resentment or anger or even grief, then we have crystallized emotions. If we hold them long enough, we breakdown, we have power failures… and if it is severe enough, we are finally forced to stop everything and take care of ourselves. The sun finally came out in Fayetteville and the weather warmed up and melted the ice, but the damage was done. The cleanup continues and we will recover. The trees will grow new branches…those that survived anyway. New trees will be planted to replace those that didn’t make it, and life continues. We don’t have much choice about ice storms, but we can choose our thoughts and our feelings. I’m looking to see if I have any that have crystallized…how about you? I am basking in the joy of new hope that we all felt on Tuesday, Inauguration Day. Many of us have been feeling this since Nov. 4th when Obama won the election. The feelings have swelled and intensified. It feels like our country has come together like never before. It is amazing that close to 2 million people were gathered together in Washington and there were no arrests. That is a miracle! My brain tells me this feeling won’t last. I remember back to September 11th and how our country came together. It was a different feeling, certainly not one of joy and hope, yet we came together as one. That feeling faded, however, and life went on as usual. Oh, we were never quite the same after that, but we lost that loving feeling. As I write this, I am watching a pre-inaugural celebration that I somehow missed. It was called We Are One and was a huge celebration that took place at the Lincoln Memorial, I think the day before the Inauguration. There were lots of musicians performing, and the music was so inspiring I stood up and danced with my cat Callie in my living room. This is a feeling I want to hold on to. This is something I want to carry forward into tomorrow and the day after that, and the week after that, and the month after that. President Obama has said that he cannot do this alone, he needs us. We are being called to take part in our country and in making sure that this hopefulness manifests into reality. I’m sure our president will give us lots of opportunities to get involved. I just emailed him an idea, and am so delighted that he has provided avenues and opportunities for us to be heard and involved. This is our country. Regardless of what happens tomorrow, or the next day, or what our President does or does not do….even if he disappoints us…I want to keep this feeling of hopefulness and optimism alive. Let’s carry this forward. We can do it. It’s a choice we can make every day. It’s not up to only our President, it’s up to us! I wanted to share this music video, in case you haven't seen it already. It's called America's Song and was composed by David Foster and Will.i.am and commissioned by Oprah. I found it very inspiring ... I am so proud and happy to be an American!. August 28, 1963, on the steps of the Lincoln Memorial, Martin Luther King Jr. gave his ‘I Have a Dream’ speech. He had a powerful vision of a world where all Americans would be treated as equals. He dreamt of a time when all of life’s benefits and freedoms would be available to all people regardless of color. He said, “I have a dream that my four little children will one day live in a nation where they will not be judged by the color of their skin but by the content of their character. I have a dream today. I believe strongly in the strength of dreams and in the power of intentions. This idea has been around for centuries and there have been numerous books written on this subject, yet it feels like an idea whose time has finally come to our world in a very big way. Tomorrow, the very first black American will be sworn in as President of the United States. Barack Obama was only 2 years old when Martin Luther King Jr. shared his dream, and tomorrow as he takes his oath for the highest office in our Nation, he will do so as proof of the realization of that dream. I am thrilled to be alive to witness this momentous time in our history. I am also excited to share with you that the power of a dream made manifest is available to all of us. There is tremendous power in a dream that is shared. Martin Luther King Jr. wasn’t the only one holding that dream, but he was the one who put words to the vision and spoke them out. Tomorrow Barack Obama will share his dream for our nation, and I’m pretty sure he’s going to call on all of us to help make it come true. Help shape your world and our world. Get in touch with your dreams and your visions…for your own life, and for our world. Say your dream out loud. Write it down. Share it with others. Speak the word and it shall come to pass. 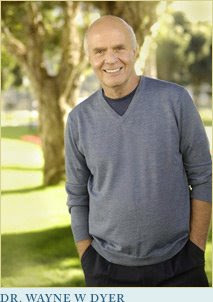 Today I am listening to Wayne Dyer’s live lecture recorded from his “I Can Do It” conference in Las Vegas. I have heard him speak many times before, and I have used his material time and again in my sermons, but for some reason I am mesmerized this time. Perhaps it is because my soul is hungry. I have missed being in ministry where I am immersed in these principles and constantly called to live them and push past the edges of my boundaries. Wayne reminds me that we do not manifest what we desire; we manifest what we are. That is such a powerful thought it deserves repeating: we do not manifest what we desire; we manifest what we are. If we are not manifesting what we want in life, then what needs to change is not something in the outer, but something inside of us. If we change our mind, we change our experience—we change our world. Of course, I already knew this, yet it never hurts to be reminded now and then, and Wayne does such a great job of explaining it so simply. Wayne has written a new book called, Excuses Begone. I can’t wait to read it! He talks about another book The Biology of Belief, written by Bruce Lipton (another book I want to read) in which Lipton tells us that our DNA does not control our biology; rather our DNA is controlled by signals from outside the cell, including messages emanating from our thoughts. So, no longer do we even have the excuse that our genes, or our biology, or our body controls us. Well of course, none of this is new. Charles Fillmore, co-founder of Unity taught these principles 100 years ago. Yet it’s so great that these ideas are now wide spread and even showing up in our scientific community. We do not manifest what we desire; we manifest what we are. So what are we? What am I? What am I choosing to be in every moment? Every moment is a choice. In one moment I might be choosing to be great, and in the next moment I might be slipping into smallness. If you want to know which you are being in any moment, look at what is manifesting in your outer world. If you don’t like what you are seeing—choose again. Isn’t it great that we can make a new choice in each and every moment! You don’t have to wait for a new year…you can change the thoughts and beliefs and feelings you are holding right now in this moment. As for me, I’m going to find more and more ways to be a host for God. I realize that I don’t have to wait for a church to manifest for me to be in ministry….I am in ministry right here, right now. Well I'm watching Ellen Degeneres and Deepak Chopra is on. She asked him if he had a New Year's Resolution, and he said "to embrace uncertainty". I thought in light of my previous post on the movie Doubt, that this was so uncanny! Part of the vow is getting more people to join in the vow. If you are joining, leave a comment here and let me know. Even though it is called Doubt, the new movie with Meryl Streep is more a movie about the dangers of “certainty”. The word doubt means to be undecided or skeptical. One might think that being certain about something would be admirable, at least that’s what my husband used to tell me. He was frustrated that it took me so long to make up my mind. Often it is beneficial to be certain…there is tremendous power in Intention and clarity. However, what I have found is that there can also be great wisdom in uncertainty, especially when it involves others. Sister Aloysius (Meryl Streep) began to have some doubts about Father Flynn (Philip Seymour Hoffman) when he paid personal attention to a student. In and of itself, having doubts is not a bad thing, yet she didn’t act like a person who simply doubted. She acted like a person who had her mind already made up. She didn’t have any proof, but she had her certainty! When we are certain we are locked into a position, and then we look for evidence to support our entrenched position. If we are uncertain, then we remain open to exploration and to discovery. In certainty we are invested in being right. In uncertainty we are not attached to any outcome. I admire Meryl Streep and think she is a great actress, although her character in this movie is not easy to like. She does a great job here of playing a stodgy nun who seems to find her purpose in making others miserable. She also has a history. She has had an experience with a priest in the past and so she brings that to her current situation. All of us do that. We bring our past into the present and it influences our choices. Sometimes that is beneficial, and sometimes it isn’t. When is it right to move forward in certainty, and when is it important to do nothing and remain in doubt? That is the question this movie explores. I really haven’t given away anything that wasn’t shown in the trailers. You will have to watch the movie to find out how it ends….I was a little surprised, but then again I really wasn’t. The ending made perfect sense to me. This movie is one that leaves you pondering. There is one thing I was not in doubt about: I loved this movie!! I don’t know of anyone who likes growing old. Oh, most of us have made peace with it. Many of us, myself included, would not dream of going back to those unenlightened teen years. I rather like the person I have become; yet there are times…today for example with spasms in my back and joint pain, when I’d love to have a much younger body. What if there was a clock that went backwards? It has some appeal. I could go back to that younger body. I could go back to when my husband was still alive. Who wouldn’t like that scenario? However, the clock would keep turning and eventually it would revert back to before I even met him and then there I’d be without him again. What if the clock only went backwards for you while the rest of the world kept going forward? What if you were born old, wrinkled and feeble and then proceeded to age backwards? It’s an interesting and intriguing thought and one that the movie The Curious Case of Benjamin Button explores. Benjamin Button (Brad Pitt) was born with the body of an eighty year old. He was raised in a nursing home and his first steps were taken from a wheelchair. Yet even with an old body, he still had the innocence of a child. He doesn’t come into the world with the maturity or wisdom of one who has lived those eighty years. He must still learn to speak and to walk and to read and to write. This movie isn’t about wishing one were younger or longing for the past. It really isn’t even about living life backwards. If Benjamin had really been living life backwards then he would have gone back through the birth canal and become a fetus again. If you saw the movie, then you know that is not what happened. No, this film did not make me want to live my life backwards, but what it did was give me a greater appreciation for aging and the elderly. Everyone loves babies and we ooh and aah whenever we see them. The old, it sadly seems, we mostly ignore. Maybe that is because babies remind us of possibility and joyous times, while the elderly remind us of where we are headed and don’t want to go. In this movie, however, the elderly are treated with loving respect. Benjamin is raised with the elderly and we quickly see that the very old and the very young have quite a lot in common. They both need diapers. They both need help walking and eating. They both speak without monitoring or even caring whether the other person is interested. There is an elderly man in the film who had been hit by lightening 7 times during his life, and he tells people over and over and over again. Except for aches and pains, and more life experience, the elderly are very much like infants. Perhaps that is because they are both so close to Spirit. Babies have just emerged from this other Spirit world and still remember who they are and where they came from. You can see it when you look in their eyes. The elderly know that they are almost there too, and perhaps are already hanging out sometimes in that other dimension.